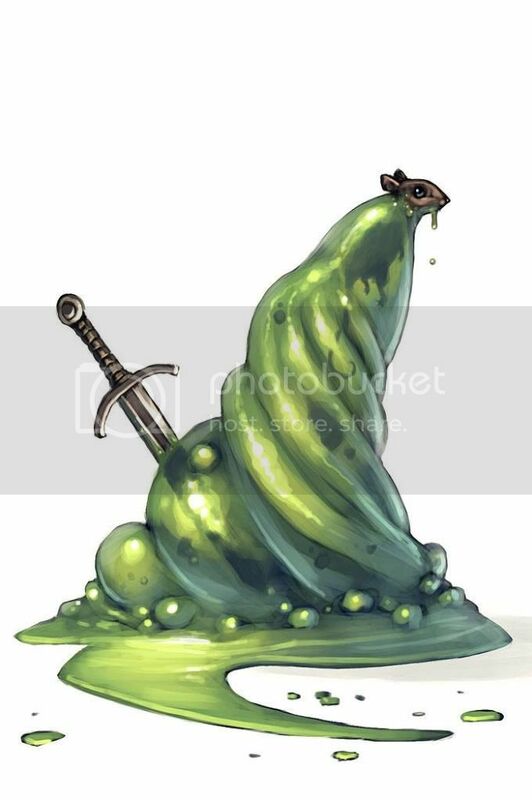 Time Ooze is almost identical in appearance to wet rock, but it is a slimy, formless substance that devours prey. In the interior of this ooze times flows in a different manner than outside of the it, to determine the time effect roll on the table below. 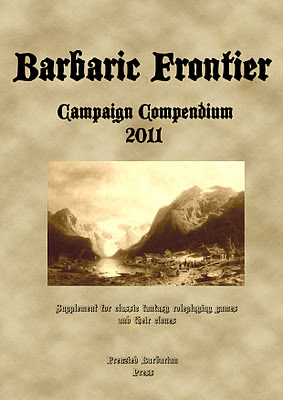 The main theme of Barbaric Frontier is the struggle between barbarism, civilisation and cosmic horror. To make it even more visible I've changed the typical dndish alignment system so that it will even more emphesize that theme. People with civilised alignment are more or less law-abiding, with internalised values and schemes of social roles, code of conduct and hierarchies. They operate within their societal niches well and are quite adaptative to their changes. The example of person with extreme attachment to this alignment could be considered conformist. People with barbaric alignment are value freedom the most. In civilised areas they feel uncomfortable, constrained by societal code of conduct. They are considered "free spirits". The most attached to this alignment are considered total nonconformists. Entities with alien alignment are incalculable in their deeds and behavior. Their goals and cultivated values seem so otherworldly and alien that they cannot be compared to any human or demihuman morality or ethics. Neuvolk are converted to the Faith of the One northern barbarians. Most of them are of old elk and eagle tribes and some exiles from other tribes. Despite their conversion most of them retained their cultural heritage although enhanced by new ideas from their new southern brothers in faith. This could be seen especially in their dress and arms and armor selection. Former tribe elders became new nobility and the regular tribesmen became freeholders with few feudal responsibilities for former tribe elders. As for their conversion, they rever three aspects of the One - Warrior, Mother and Wise-Man. This heresy is not accepted by church patriarchs but their militatry value as "shield" against tides of pagan barbarians is priceless. Their biggest enemies are their old brothers, who treat them as the betrayers of the old ways, this makes them even more loyal towards their new masters. Neuburg is a frontier town, capital of Nordmark south-east from the Misty Lake. It's the biggest settlement in Nordmark. Built around 150 years ago by Horst von Goethe, great-grandfather of the current margrave, as a castle protecting new settlers from Groe Reich. Now thanks to rich local resources the town trade flourishes, buing and selling iron ore, gold, charcoal from local settlers and cattle from halflings of Halfling Hills. 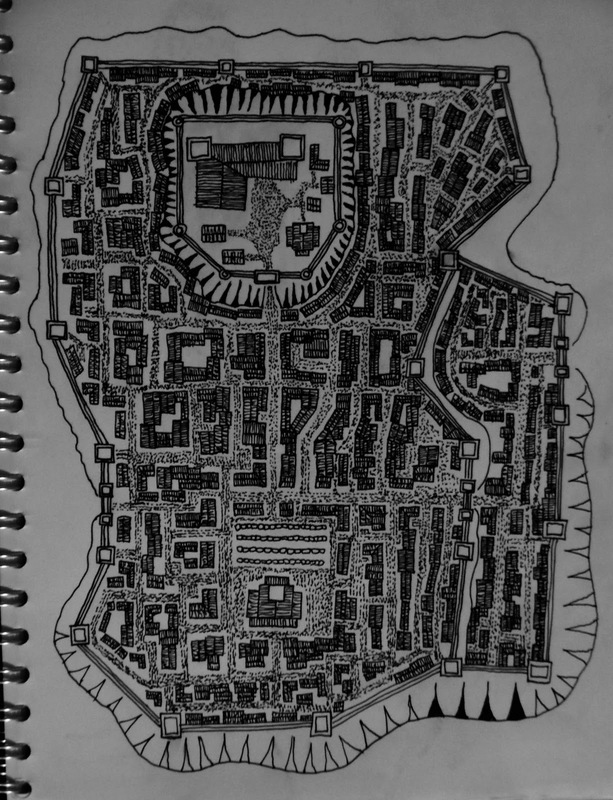 Despite its economical prosperity it's a place for all kinds of outlaws, thieves and other scoundrels, who more or less co-rule the town with the legitimate authorities. It's the wealthiest district in all Neuburg. Here lives nobility, the wealthiest burghers and tradesmen. All buildings are made of stone and brick and have at least two floors, but mostly three of them. It's second in wealth district. Full of small shops, warehouses and craftemens' workshops. It's architecture is very mixed, some buildings are three floor brick-made, some are merely piles of raw wooden logs. It's always loud around here since its market is hold all the time and tradesmen advertise their goods well into the late afternoon. 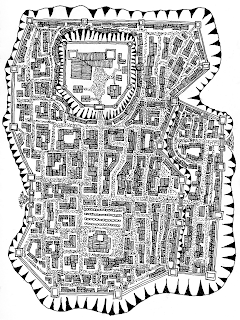 The town slums are called Lowburg since it's palced outside main ring of city walls. Its buidlings are mere piles of wooden logs. Its strees are covered in piles of trash and excrements, so terrible stench is all over the place. 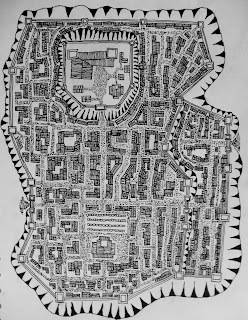 Here lives the lumpen-proletaryat of Neuburg, beggars, thevies and all kinds of criminals. Here exist most of the most taverns and bordellos of Nordmark where everything can be acquired but for a certain price. 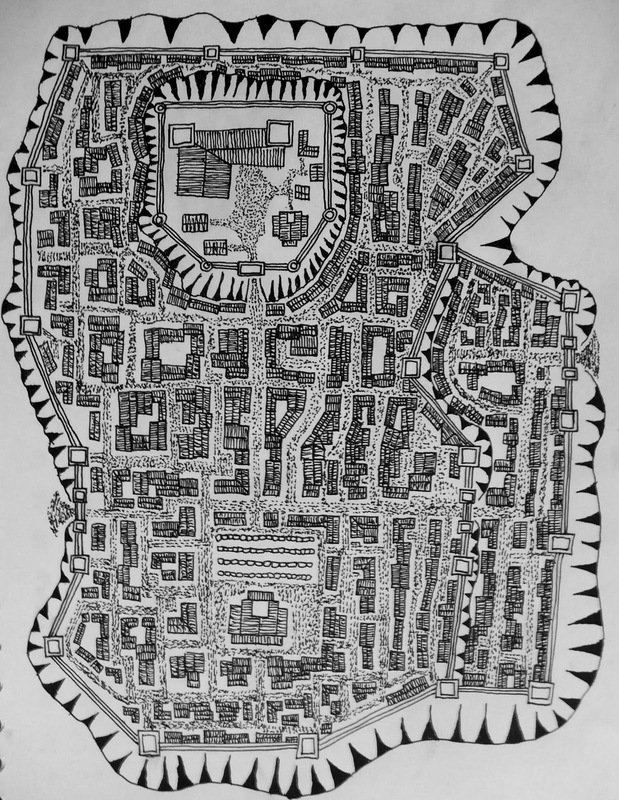 It's Small district, distinctive for its only dwarven inhabitants, and buildings of masterclass dwarven stonemasonry. Most of the buildings have one floor overground and two or more underground. Most of the buildings are connected by underground tunnels and cellars. 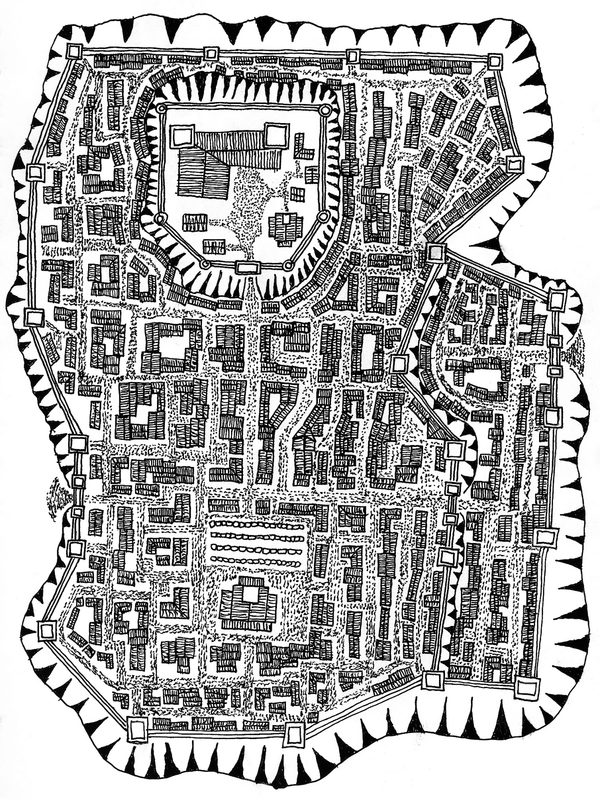 Halfling District is the smallest district of Neuburg. It's roughtly dozen of buildings. Most of them are build of stone and have three or even four floors. This big temple was founded by father of the current margrave. Many people come there for holidays' masses. In the church crypt lie members of von Goethe family. This catle was built to protect surrounding settlements. Slowly around the castle city was built. It home of von Goethe family and garrison of imperial infantry. Black Company is a mercenary company of exiled dwarfs from Iron Gate Keep. Nowadays most of members of the company reside within the walls of Neuburg and belonging settlements. When they are not hired they earn their living by their superior craftmanship especially weaponsmith and armorsmith as well as stonemasonry. Currently they are hired by the margrave von Goethe to serve as a roadwardens, private guard and guards of the tax-collectors. Because of this they are not very popular among nordmarkians. Uncounted ages ago - elves(Päähenkilö Lapsi - elv. Star Children) came to the Known World from stars and got enslaved and barbarised by Demons, some time later came dwarves from cavern realms on high gravity world, and then humans were brought to the world by alien-demonic entities as slaves. I've finally got my copy of Realms of Crawling Chaos. Since I wanted to include some cthulhu mythos in my campaign this sourcebook will be a great resource fot that. After fast skim through the book I'll defninitely include sea bloods, subhumans, magic and a sanity rules. I also have to say that the illustrations are brilliant! Each and every is full of weirdness and horror. Maybe later I'll do a full review of this great book. 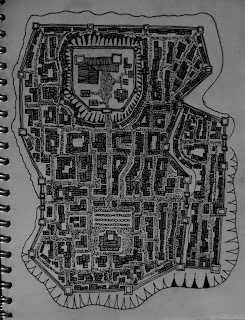 Here's a w.i.p version of the new map of Neuburg, the capital city of Nordmark. 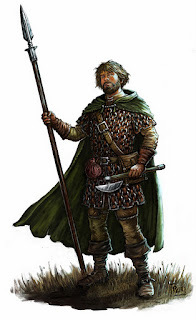 Well since my campaign will not only be about exploring wilderness and city intrigues I was lately thinking about dungeons of the Barbaric Frontier, and the explanation why are there where they are and what they are/were. Concerning the atmosphere of the Barbaric Frontier. 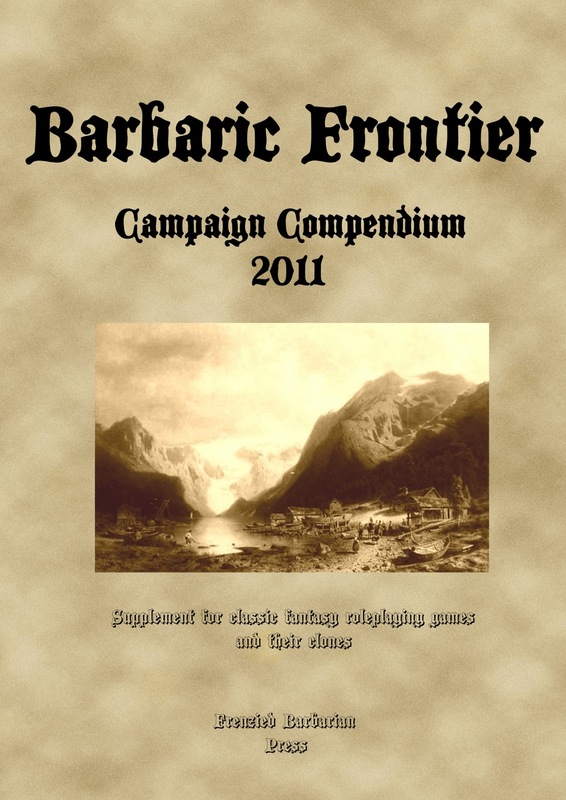 Well, when I've first thought about a sandbox campaign which would later become Barbaric Frontier, I wanted a game combining the feel of first edition WFRP, all it's intertextuality, grittyness, dark humor and moorcockian weirdness. All this pitched to its extremity. All because my big disappointment caused by the following editions of WFRP. Also being a huge Conan fan I couldn't resist to place some bits from Howard's Hyborian Age, that is the aquilonian/cimmerian border with pictland, hence the Barbaric Frontier and Skraelings. This was a straight way to incorporate some cthulhu mythos. This part of inspiration was to satisfy me as a GM. However my players do not share my literary/rpg tastes, so I had to familiarize the whole thing up. 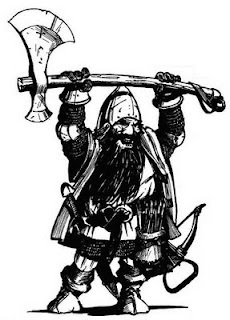 Hence the vanilla fantasy bits like fantasy races(but with their own twists), barbarian/norse-like people, and some typical dndish menagerie. 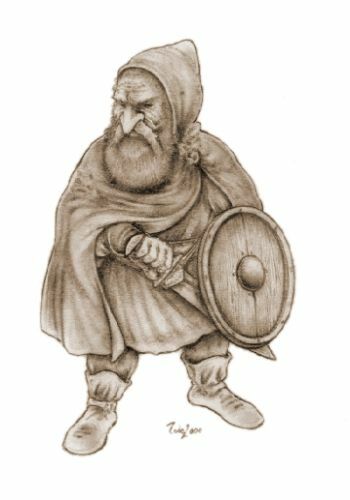 When it comes up to the visual representation of Barbaric Frontier, I see it through the lenses of Frank Franzetta's Conan and other sword & sorcery art, brilliant Fighting Fantasy art of Russ Nicholson, and polish illustrator Jarosław Musiał(check my inspiration posts for his brilliant line art, very old-schoolish). PCs in this camapign should be scoundrels of some sort, people from the outside of conventional social structures. 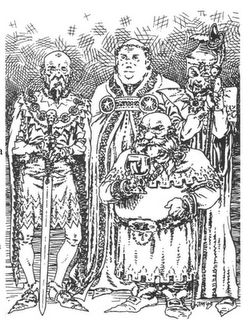 Peasants, who fled from their masters' manor, thieves, mercenaries, non-firstborn sons of knights and nobility, barbarians, disgraced clergyman, wandering monks, self-righteous witchhunters, whom have questioned the authority of the Chuch of the One, all kinds of sorcerers, alchemists, thaumaturgists and other heretics. So to categorize the Barbaric Frontier I'd say that's a cosmic-horror-sword-&-sorcery-dark-humor-dung-age-weird-european-fantasy game :p. Sorry for my poor english and for the length of this post.